Home › Uncategorized › Join us at the Grange for a Thanksgiving potluck! 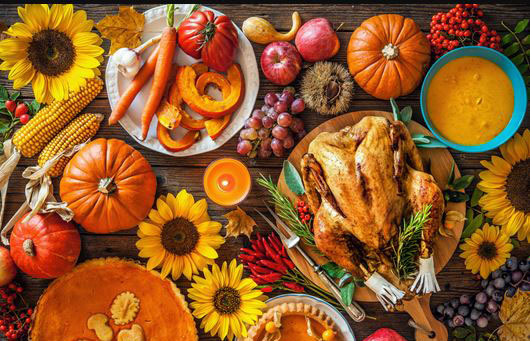 Join us at the Grange for a Thanksgiving potluck! Join us at the Sebastopol Grange for a Thanksgiving potluck. Many are displaced this Thanksgiving, having lost their homes or who have family members or friends have lost their homes. Or maybe you just want to be in community this Thanksgiving. So bring your tablecloths, place settings, decorations or whatever it is you need to feel more at home or just bring your potluck dish. Invite your family and friends and come and dine with us. Feel free to bring instruments to play music. Is there anyone who could donate produce for our meal? Three turkeys have been donated! We will be opening the Grange at noon and dining at three. RSVPs are welcome so that we can put out tables and chairs. Call if you need to cook or heat something at the Grange. There is plenty of room. This is an ADA facility. Call or text Dorothy at 707-779-9019.